Zob Ahan is an Iranian football club based in Esfahan, Iran. It is sponsored by the Esfahan Steel Company, which also goes by the name Zob Ahan. The club’s main rival is fellow Esfahani team Sepahan, which is also sponsored by the rival steel mill. 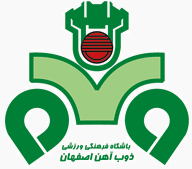 Zob Ahan club also has a basketball team, sponsored by the same Esfahan Steel Company, which is one of the teams in the Iranian Super League.